Technology has always been disruptive. This time, the rate of change may be inhibiting society's ability to adapt. But even that may prove a net positive if it forces the socio-economic system to change. Can AI, advanced robotics, self-driving cars, and other recent breakthroughs spread prosperity to the population at large, or will they just concentrate the wealth among entrepreneurs, investors, and some highly skilled tech workers? In 1900, about 40% of US workers were on farms; today fewer than 2% are. In 1950, about 24% of the jobs were in manufacturing; today around 9% are. But today’s changes are happening faster and more broadly than before, leaving little time for people to adapt. 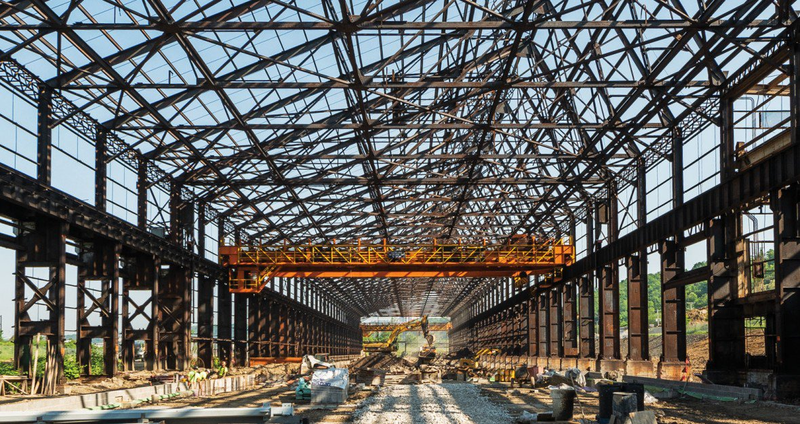 These days the old steel site, called Hazelwood Green by its developers, is coming back to life. At one edge, fenced off from prying eyes, is a test area for Uber’s self-driving cars. A new road, still closed to the public, traverses the 178 acres of the site, complete with parking signs, fire hydrants, a paved bike path, and a sidewalk. It doesn’t take much imagination to picture it bustling with visitors to the planned park along the riverfront.The gem of the redevelopment effort is Mill 19, the former coke works. 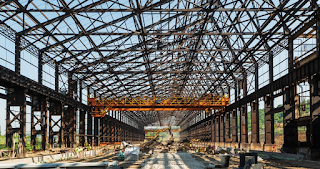 A structure more than a quarter-­mile long, sitting amid the empty fields, it has been stripped clean to a three-story metal skeleton. Crews of workers are clearing away remaining debris and preparing the building for its reincarnation. By next spring, if all goes according to plan, its first occupant will move in: the Advanced Robotics for Manufacturing Institute. But despite all this activity, Pittsburgh’s economy is struggling by many measures. Though the city’s population is no longer hemorrhaging away—between 1970 and 1980 it fell by roughly a fifth—it isn’t growing, either, and is aging quickly. During the last half-decade, almost 70,000 people aged 35 to 54 have left the region. And not far from the city and its elite universities, in areas where the main hope for prosperity lies in coal and natural gas from fracking rather than self-driving cars, well-­paying jobs are scarce and towns are being devastated by opioid addiction. This makes Pittsburgh not only a microcosm of the US industrial heartland but a test case for the question facing every city and country with access to new digital technologies: Can AI, advanced robotics, self-driving cars, and other recent breakthroughs spread prosperity to the population at large, or will they just concentrate the wealth among entrepreneurs, investors, and some highly skilled tech workers?